World Science Festival: Can science and faith co-exist? 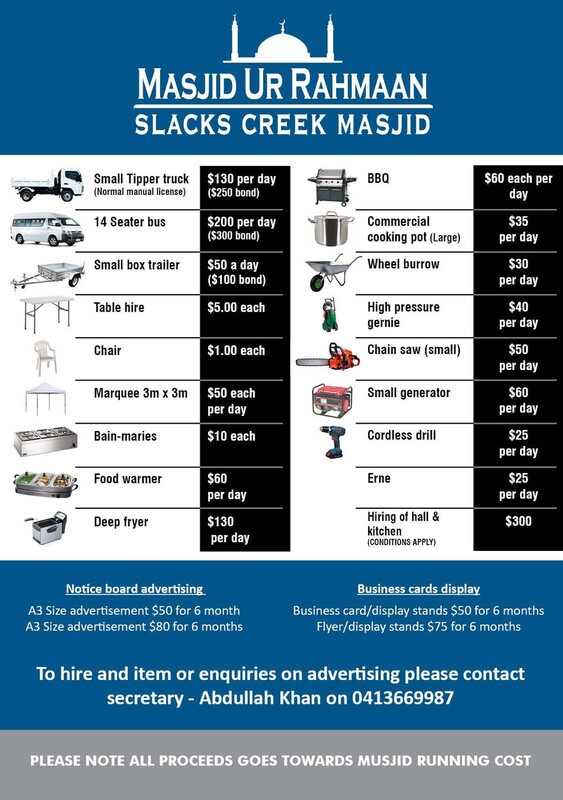 With the month of Ramadaan fast approaching, the Council of Imam's QLD wanted to take this opportunity to provide the community with pertinent information for the blessed month. 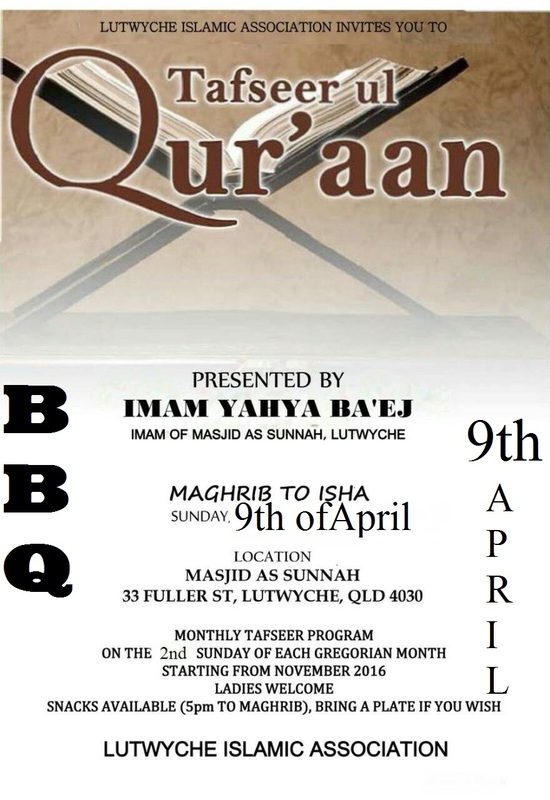 The majority of the imams in Queensland and after the inception of Council of Imams Qld (CIQ) in 2007 have adopted the approach of physically sighting the moon in Australia with the naked eye for the commencement of the new month. This occurs every month, including the sighting of the moon for the commencement and conclusion of Ramadaan. This will continue to be the approach CIQ takes now and in the future. For online updates in this regard you can refer to the twitter account for the Australian National Crescent Sighting Coordination Centre (ANCSCC) as they adopt the same approach: https://twitter.com/ancscc?lang=en. CIQ acknowledges that there is a difference of opinion as to the need to physically sight the moon with the naked eye in Australia and respects the decision of other scholars or Islamic Centres that choose not to follow CIQ on this matter. 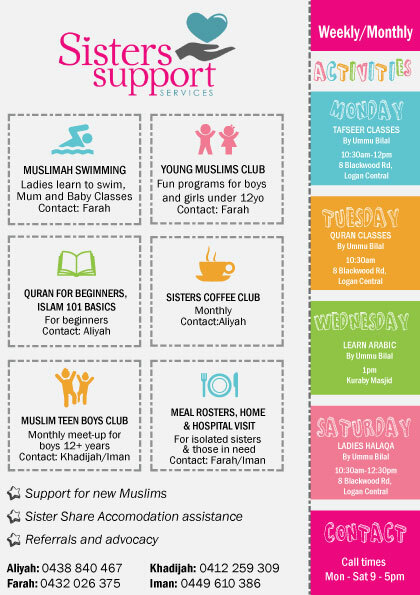 An individual is required to pay a minimum of $5 or a maximum of $10 for Fitrana this coming Ramadaan. 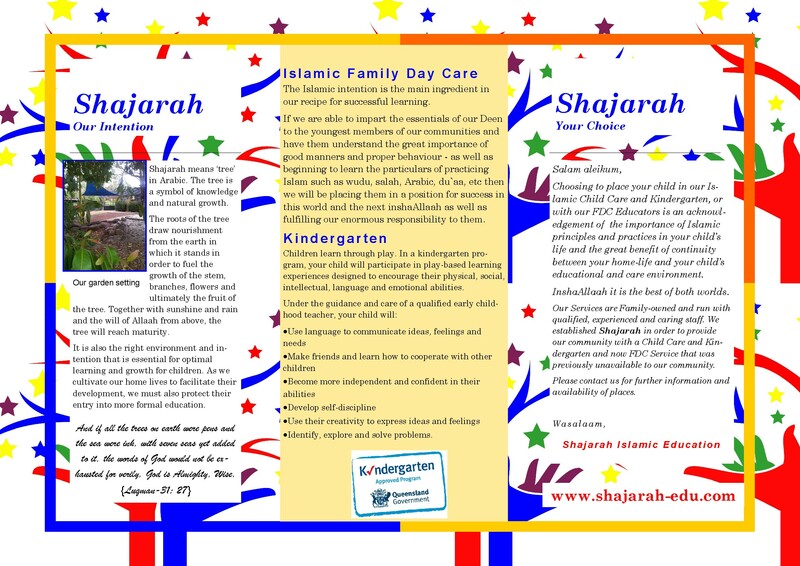 The minimum amount is mentioned specifically as an acceptable allowance by Sharia Law to allow struggling families to discharge their fitrana, as our deen is easy to follow. A Muslim brother or sister should use his or her best discretion to discharge this great charity which specifically makes our fasting in Ramadaan free of any short comings. We encourage all Muslims upon whom Fitrana is waajib, to discharge this amount in the early stages of Ramadaan so that the relevant organisations can allocate the funds accordingly well in advance of the day of Eid. Fitrana is an obligatory charity which is to be paid before Eid-ul Fitr. This money is paid to those less fortunate so they can fulfil their needs on the Eid day. Allahumma barik lana fi Rajab wa Sha'ban wa ballighna Ramadan. "O Allah! Make the months of Rajab and Sha'ban blessed for us, and let us reach the month of Ramadan." We encourage our brothers and sisters to recite the above dua and make the most of the next two months in preparing ourselves spiritually and physically for the blessed month of Ramadaan. Let us take some time daily to seek knowledge from reputable sources, start to get rid of bad habits and plan ourselves so that we achieve Taqwa, when the month arrives. 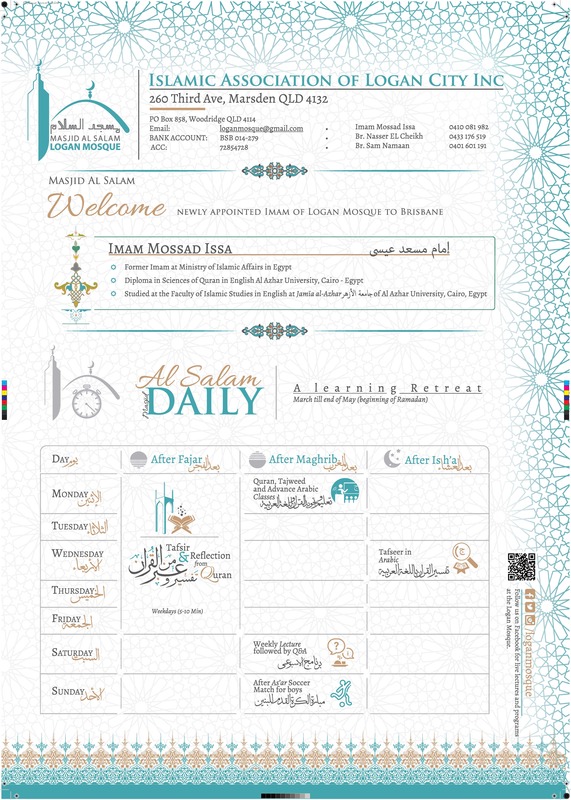 Do not hesitate to contact CIQ or your local Imam for the best ways to prepare for Ramadaan so that we do not lose out on the bounties of this amazing month. Last week over $150,000 was raised towards establishing water wells, medical centres and emergency aid towards the famine in Somalia. 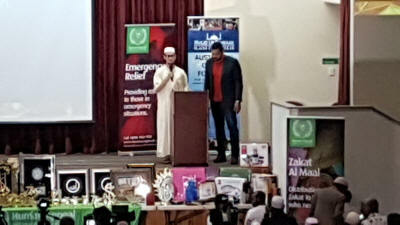 The key note address was delivered by Sheikh Isa Mussi (pictured below), the Imam of Virgin Mary Mosque in Melbourne. 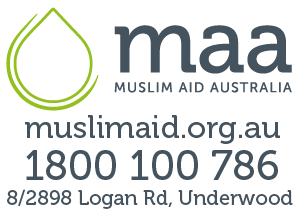 If you would like to donate, use the Human Appeal bank details or visit humanappeal.org.au. 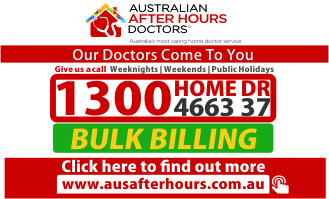 Mr Ian Rickuss MP, Member for Lockyer, counters One Nation's claims about Muslims with an acknowledgement of the contribution of the Muslim doctors in his electorate and Dr Mohammed Iqbal Sultan and his Gatton medical practice, in particular. "Please show your support, we cannot forget the people we are here to help! Riyaad Ally is visiting not only established camps where people may be 'registered' and perhaps some sort of 'infrastructures' are, but also places like this where people have been forced to set up camp as best they can with what they have, having fled one of the worst most traumatic experiences we could imagine. Lives are being uprooted people, children are being torn from productive and nurturing environments, livelihoods are being lost and most of all, lives are being lost subhanallah. Help provide emergency aid to our brothers, sisters and our sweet children. And pray that those that have lived through this hell can one day find peace, recovery and meaningful ways to be. 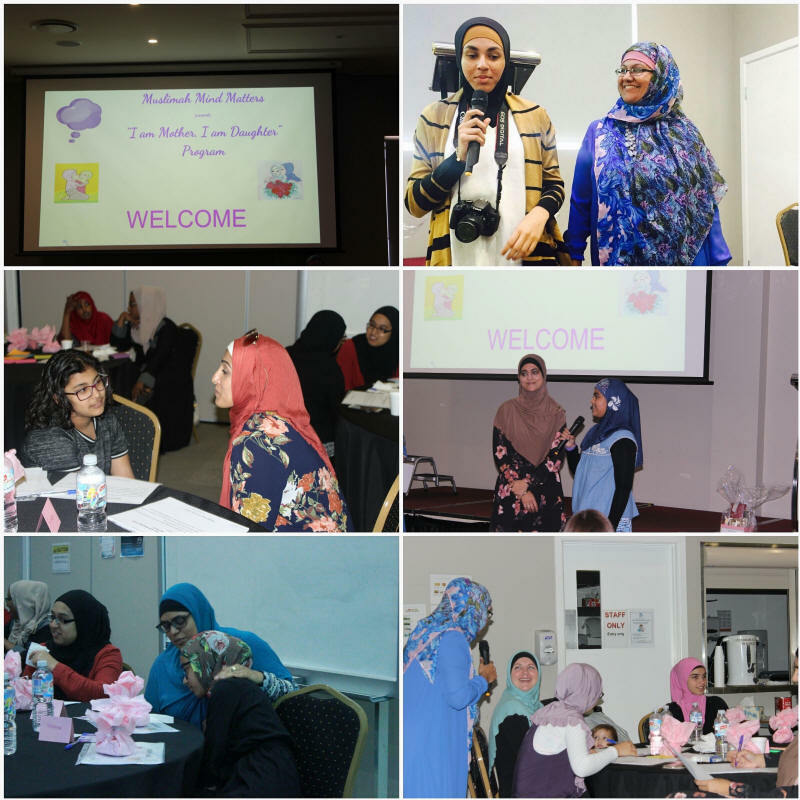 Mothers and Daughters gathered to participate in Muslimah Mind Matters "I am Mother, I am Daughter " event on Saturday, 1st April 2017. 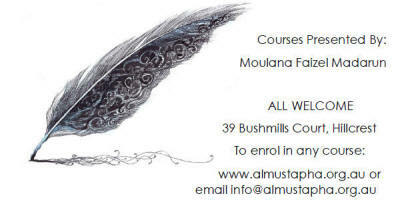 For future events/ workshops, contact Princess Lakshman 0451977786 or visit www.muslimahmindmatters.com. Kirralie Smith has been described as a potential leader for a new conservative movement. 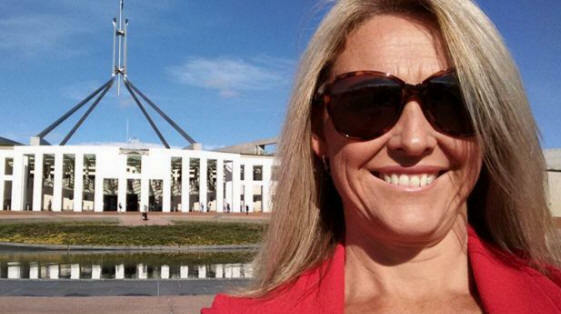 The anti-halal certification campaigner Kirralie Smith, who was a NSW Senate candidate for the right-wing Australian Liberty Alliance at the last election, has joined Cory Bernardi's Australian Conservatives. Asked if she was planning to run for office at the next federal election for Australian Conservatives, Mrs Smith said she was dedicated to supporting the new party in any way she could, whether that meant putting stamps on envelopes or again running for the Senate. 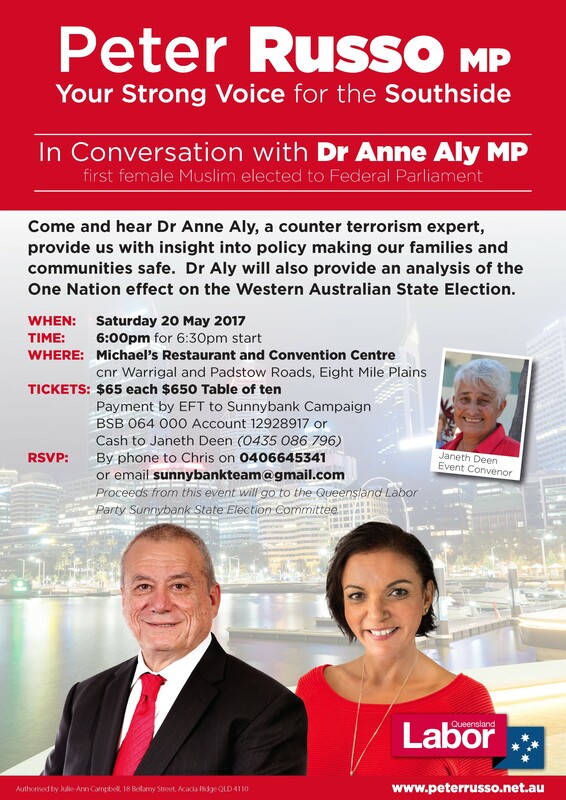 Mrs Smith is a member of the Q Society, which shares many senior members with the Australian Liberty Alliance. 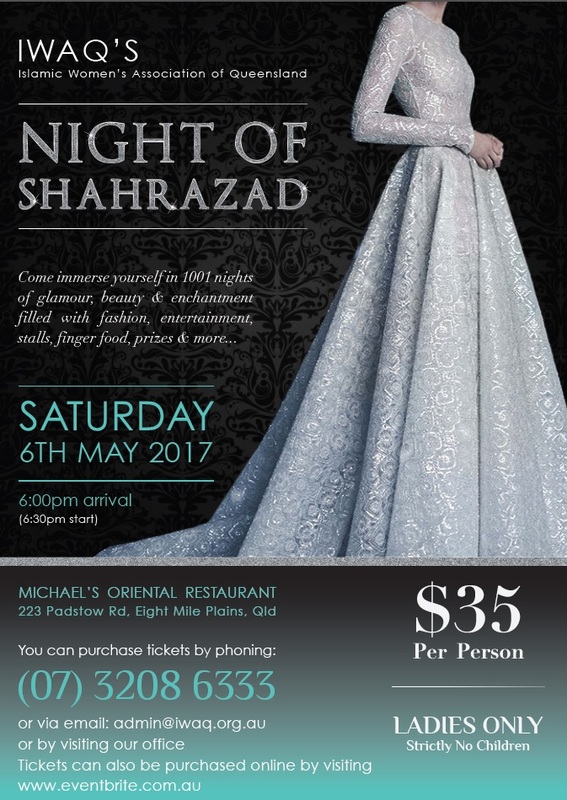 She, along with the Q Society, were recently sued for defamation by an Arab Australian business, though the proceedings have been settled. Mrs Smith and the Q Society are working on a documentary on their campaign against halal food certification in Australia, focusing on the Senate inquiry that Senator Bernardi supported. Mrs Smith told Fairfax Media she believed Ms Hanson "rode in on" the anti-halal certification protest movement during the past election, but in the months since has failed to act on the issue. 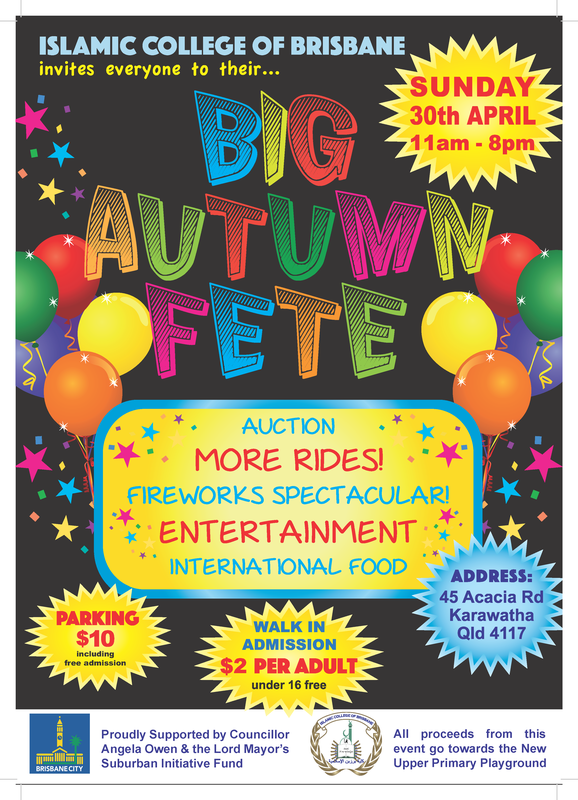 While Australian Conservatives share with One Nation a stance against the perceived threat of Islam in Australia, Senator Bernardi's party takes a more open view of the economy trade, which is more in line with the Liberal Party. 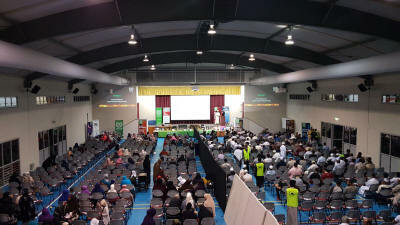 Sanad Foundation is a non-profit organisation building a connection between the Australian Muslim Community and its Islamic heritage. 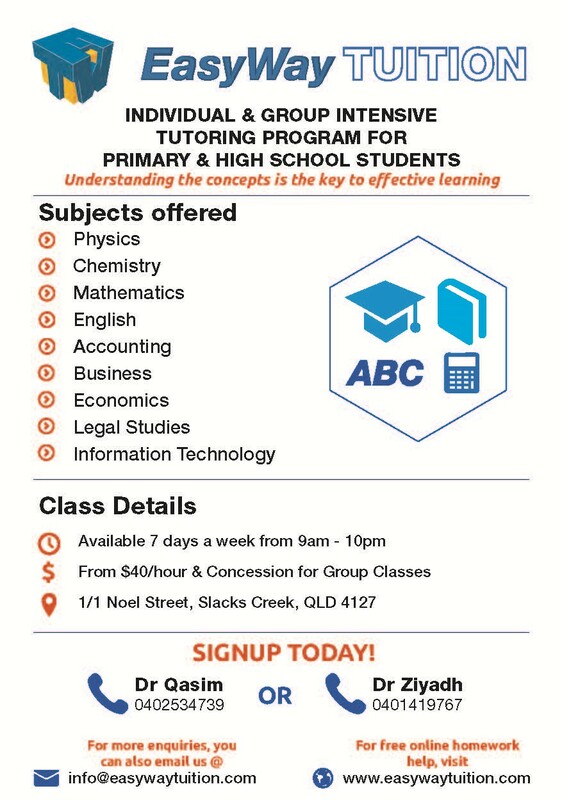 The Sanad Fund, the rest of the foundation's projects seeks to meet the educational and intellectual challenges facing Muslims in contemporary Australia by funding and developing local Islamic scholars, specialists and thinkers. 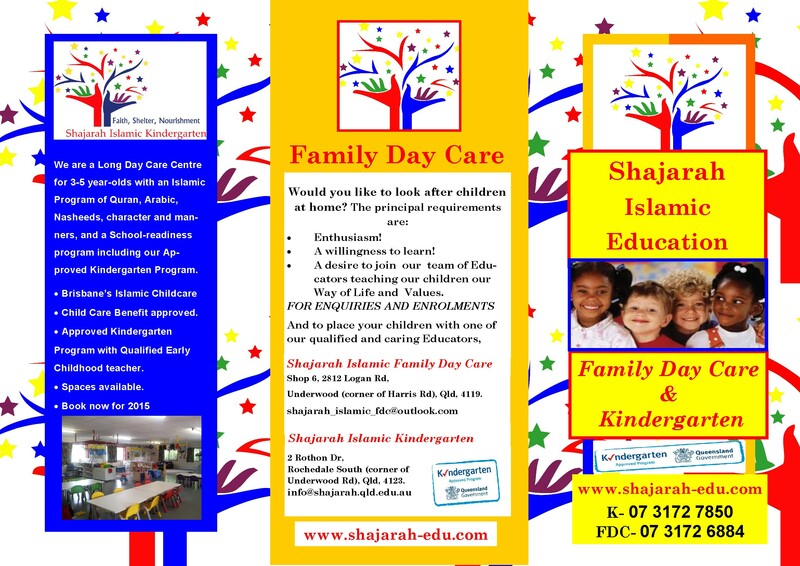 Through this strategy the foundation believes an integral element of the Islamic tradition can be realised in our community today, that of creating a connection between beneficial knowledge and activity. 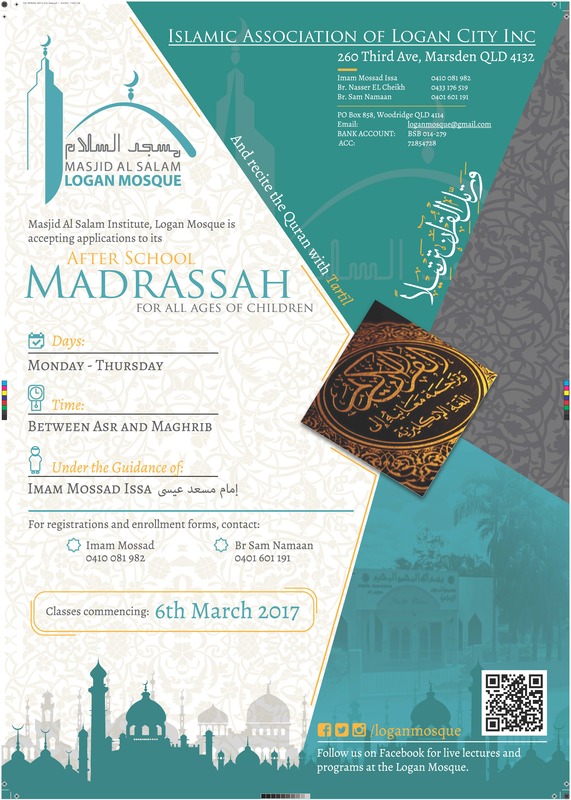 The Foundation took its first steps when local students helped fund a promising individual seeking Islamic knowledge abroad. 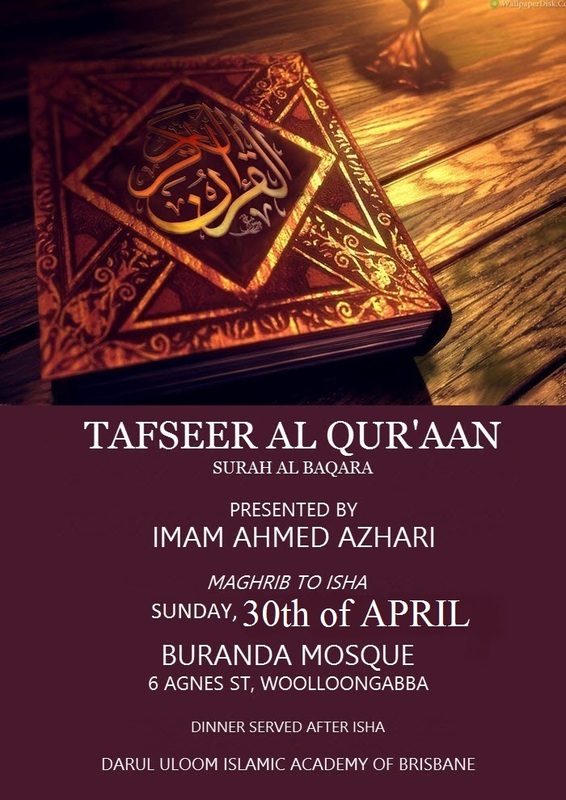 The money raised facilitated his study, thereby allowing him to attain a higher proficiency in Arabic, memorise the Quran, study classical texts under licensed scholars, and immerse himself in the newest research in various fields of the Islamic sciences and thought. Taking from this success, the Foundation now aims to create pathways for other aspiring students through the establishment of the Sanad Fund. The Sydney mother-of-four said she had been subject to racial abuse in the past. Sydney mother has described how she was subjected to a vicious attack outside a busy suburban shopping centre, with a woman repeatedly shouting "you're so ugly" at her and demanding she remove her niqab. The former child care worker and swim instructor, who has asked not to be named, said the woman yelled at her: "you should take that off", "I don't know what you look like", "you're not Australian" and "F*** off back to Lebanon". The mother-of-four, 36, from Auburn, had just left Bankstown Central Shopping Centre on Friday afternoon when she noticed a woman staring at her, shaking her head and muttering. "First thing she said to me was "take it off"," the woman said. "She was demanding that I take it off and because I wouldn't take it off that's when she lost it." 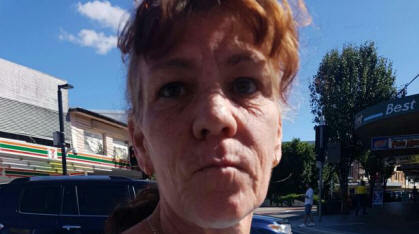 Police said Pauline Mary Field, 60, was arrested and charged with behaving in an offensive manner in a public place. Terrified that she might be physically assaulted or have her niqab ripped off, the woman pulled out her mobile phone and started taking pictures and short video clips of her alleged attacker. "She told everyone that she wouldn't stop and that everyone should be helping her out against me because of the way I am dressed," she said. "I was very scared and I was so humiliated. I was in shock. "To tell me to go back to my country. I was born here. I have never left Australia." The woman said she was grateful to members of the public who stopped to support her. She also praised the work of police officers who she showed mobile phone footage to soon after the incident. "They made me feel that something would be done. 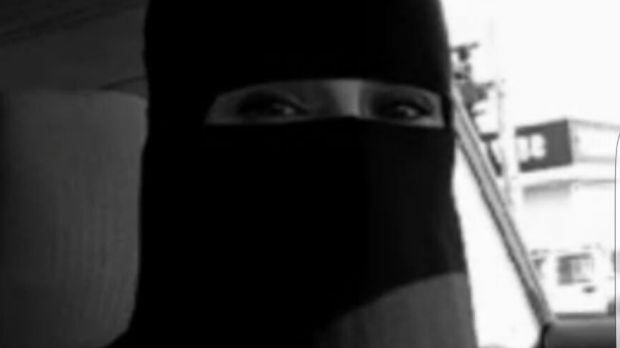 That it was serious and that they do actually care"
The woman said she had worn the niqab for about seven and a half years and had been subject to abuse several times, including a man who made barking noises at her out of his car window. "I don't understand why for some people I'm public property and they can just walk up to me and say what they want." Police said a woman, 60, was arrested on Friday afternoon and charged with behaving in an offensive manner in a public place. The woman, Pauline Mary Field, was already on bail on previous charges including obstructing and hindering an ambulance officer, common assault and intimidating a police officer. She was taken into custody but was granted conditional bail at Parramatta Local Court on Saturday morning. Ms Field is next due to appear at Bankstown Local Court on April 19. A panel of scientists at the World Science Festival in Brisbane discuss whether science and faith can co-exist. Fire and ice, black and white, hot and cold, science and faith. As part of the World Science Festival, and in front of a vocal crowd, a team of experts bravely delved into the sometimes touchy intersection of science and religion. 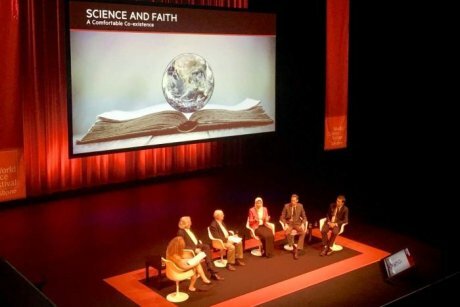 The Science and Faith panel discussion at Griffith University's Conservatorium Theatre, was headed by ABC presenter Dr Rachael Kohn. "Many modern beliefs about the conflict between science and religion seem to have extended from our history," she said. "We live in a world where eight out of 10 people identify with a religion." Ms Kohn was joined by Professor AC Grayling, Professor Kenneth Freeman, Dr Zuleyha Keskin, Dr Thomas Aechtner and Professor Peter Bruza. Professor Grayling said he emphatically believed there was no such thing as a comfortable co-existence between science and religion. "I did in fact question within myself why I'm actually here," he said. With laughter from the audience, he went on to explain how religion had hindered and obstructed the efforts of scientists throughout history. "People were burned at the stake for doing science." But Dr Thomas Aechtner disagreed, suggesting a harmony between the two avenues could be possible. "There may be a religious impetus to do science," he said. Dr Aechtner added some people might practice science because "God wanted them to". His theory was echoed by Professor Kenneth Freeman, a Christian scientist, studying galactic archaeology. "I know that God exists, I've known that my whole life," he said. "I don't believe there's a basic conflict between science and religion." Professor Freeman concluded by saying the key to progress was communication, but this did not convince Professor Grayling. "I think religion would do well to keep its hands off science," Professor Grayling said. Dr Zuleyha Keskin chimed in with an observation that, "science satisfies the mind, religion satisfies the heart". This story is part of a collaboration for the World Science Festival between QUT and the ABC. PETER KNESPAL asked: Firstly, can I express my disappointment that Ayaan Hirsi Ali will not be able to attend Q & A tonight. 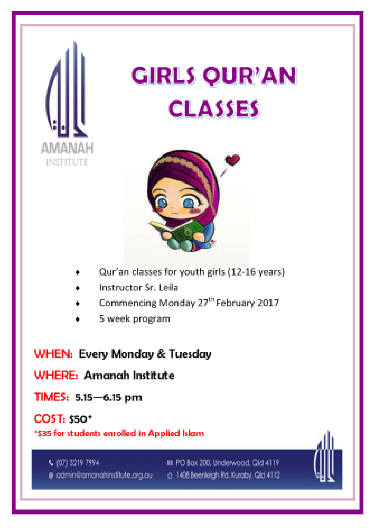 Last time Ayaan was on this program, the rise of regressive liberalism and fundamentalist Islam and their erosion of free expression was discussed. Given the cancellation of her Australian tour due to security concerns, it is clear nothing has changed. Does the panel agree that Australian politicians, media outlets and public figures should be doing more to defend the right to critique all religions, including Islam? Controversial speaker and vocal critic of Islam Ayaan Hirsi Ali cancelled at the last minute her speaking tour of Australia and New Zealand, citing security concerns. 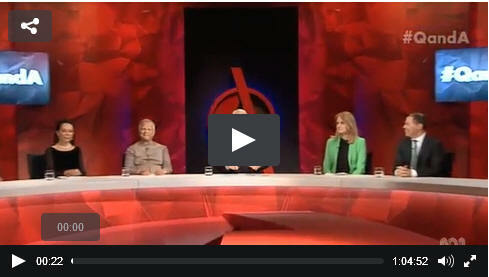 Ali was due to appear as a panellist on the ABC's Q&A program tonight, but also cancelled. Her Hero of Heresy tour was due to begin in Brisbane on Thursday, before taking her to Melbourne, Sydney and Auckland. Ali said in a statement she regretted that, "for a number of reasons including security concerns", she had to cancel her upcoming appearances. "She is very disappointed indeed about this but was left with no alternative following a succession of organisational lapses on the part of the event organisers, Think Inc," the statement read. "Nevertheless, she wishes Think Inc success in their future endeavours and hopes to be able to return to Australia in the not too distant future." 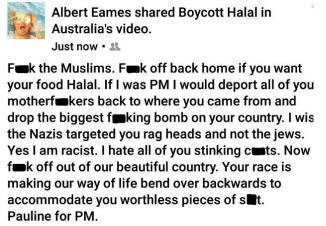 Albert Eames posted a rant about Muslims on Facebook. 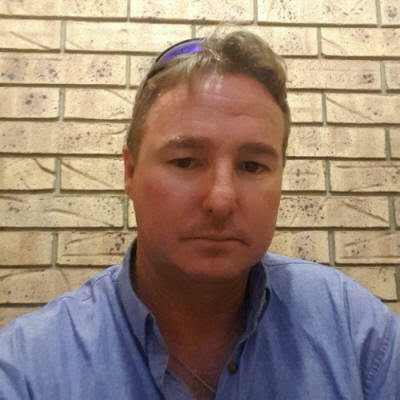 A TOOWOOMBA Regional Council worker could face disciplinary action after his racist rant on Facebook was revealed. Halal foods are those that can be eaten according to Islamic Sharia law. Mr Eames also called for a bomb to be dropped on Islamic countries and stated he wished the Nazi party had targeted Muslims instead of Jews. "Yes I am racist," he admitted on the post. "Now **** off out of our beautiful country. Your race is making our way of life bend over backwards to accommodate you worthless pieces of s***." He also indicated his support for the One Nation political party writing: "Pauline for PM". Mr Eames works in the council's Infrastructure Services Group. The Chronicle contacted Mr Eames who said the post was a comment on a video. He said he was passionate about the issue of halal food. "Imagine if we went over to their country and tried to shove Vegemite down their neck. "Us people here in Australia we should have a choice on what we eat, just because an ethnic culture comes over here and tries to change our way of life, which they are doing, I don't think that's right. That's my personal opinion." Mr Eames said he would like to take "a lot of that back" and said he was in a bad mood on the day of the post. "There's a lot of people that think a lot of this stuff, they just don't say it as abruptly as I did." Mr Eames stressed his post had no relation whatsoever to Toowoomba Regional Council. He also said the post was out of character and that he had Muslim friends. 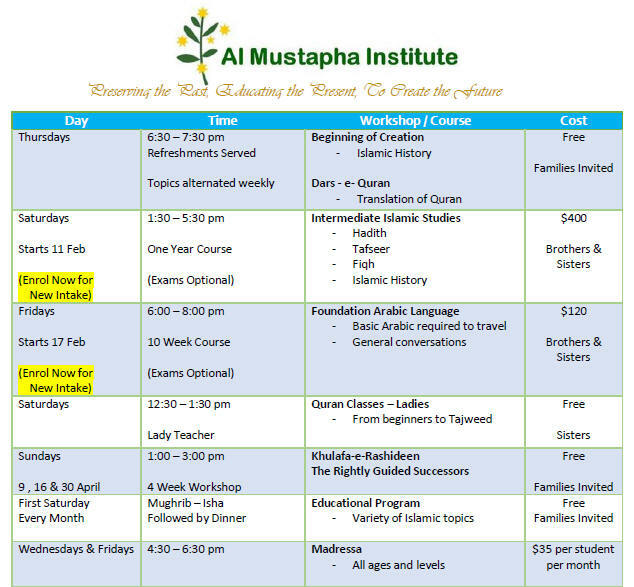 Mohammed Tawhidi, of the Islamic Association of South Australia, said he agrees with Ms Ali's call to close Islamic schools in Australia. He has also rejected extremist groups. Ms Ali cancelled her tour of Australia this week because of fears for her safety. "These schools do exist that are a problem and they need to be either shut down or changed completely," Imam Tawhidi said. 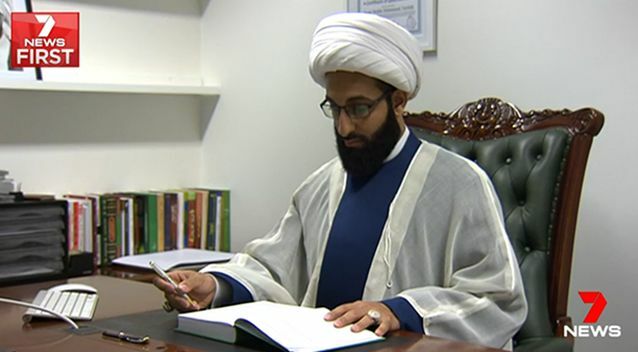 Fearing reprisals, the Adelaide-based Imam said he was escorted into hiding by police. A video released on Facebook has been credited, in part, with stopping Ms Ali's speaking tour. In a video, which was posted to Facebook a group of Muslim women speak out against Ms Ali saying: "You're not here to help us or stand with... you're here to profit from an industry that exists to dehumanise us". 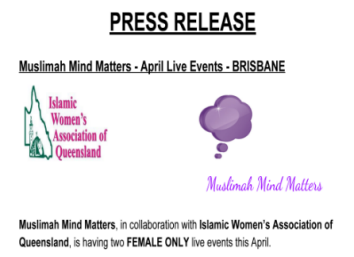 Hana Asafiri, of the Persons of Interest group, which is behind the video, said they opposed Ms Ali because her rhetoric could inspire random attacks against Australian Muslims. 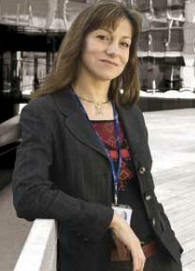 "There's nothing to be celebrated through a divisive and very hostile and fear-mongering conversation," Ms Asafiri said. Ms Asafiri said Ms Ali cancelling her trip was seen by her group as a victory for free speech. "Everybody has a right and they're the hallmarks of our freedoms and democracies. "But I guess what I'm saying is those rights cannot be uncontested particularly when they're promoting hatred and fear." The group has condemned Ms Ali as an extremist and a hatemonger and signed a petition against her visit. But the Somali-born former Muslim has hit back, saying her critics are doing the work of radical groups. "These are people who are far more interested in defending Sharia Law, that's Islamic law and the doctrine of radical Islam over human rights. Ms Ali said these women criticise her, but say nothing about the millions of repressed women in Islamic countries. "The idea that women have to cover themselves from head to toe to hide from men because if men see women's hair or women's faces or women's bodies then they are seized by this desire... and they start harassing and groping and sexually assaulting women," Ms Ali said. "There is no feminist ideology of Islam. "There are of course Muslim women all across the world who are fighting for their rights and fighting for their dignity, you know, the women in Saudi Arabia who are fighting for their right to drive a car and to be relieved of the obligation that they need a male guardian at all times." But Ms Asafiri said her group opposed female oppression. "Look, we start from the premise that all forms of violence against women and the subjugation of women are completely unacceptable," Ms Asafiri said. An unrepentant Ms Ali has gone further, when asked whether groups like Hizb ut-Tahrir should be banned in Australia she said they should be treated like "skinheads". 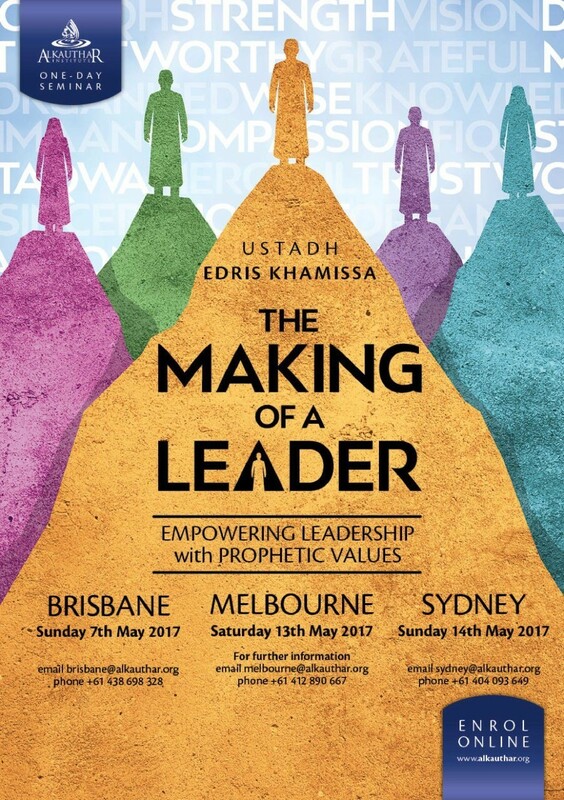 "White supremacists and all sorts of remnants of the Nazi Party ... are stigmatised and they are actively marginalised and that's what we should do with Hizb ut-Tahrir, Jemaah Islamiyah, with the Diobandi, with the Muslim Brotherhood, with all Islamism organisations that set up shop in Australia and other liberal societies." The Australian National Imams Council (ANIC) strongly condemns the recent chemical attacks on the innocent Syrian civilians in the city of Khan Sheikhoun in the Idlib Province, Syria. This barbaric attack by the Syrian regime is another one of many continuous unjustified attacks on innocent civilians in Syria supported by foreign governments such as Russia and Iran who have demonstrated absolute lack of humanity, as well as no respect for international laws or human rights organizations. The Australian National Imams Council (ANIC) is also shocked and concerned over the relatively mute reaction by the international community over this, and previous, horrendous attacks. The Australian National Imams Council (ANIC) calls upon the international community, in particular Australia, to take a stronger stance against the Syrian regime and its allies and adopt necessary sanctions until the Syrian crisis is resolved. 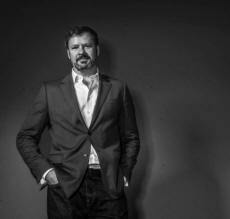 Ed Husic is known to some as 'the minister for basketball', to others as the first federal MP sworn in on the Quran. 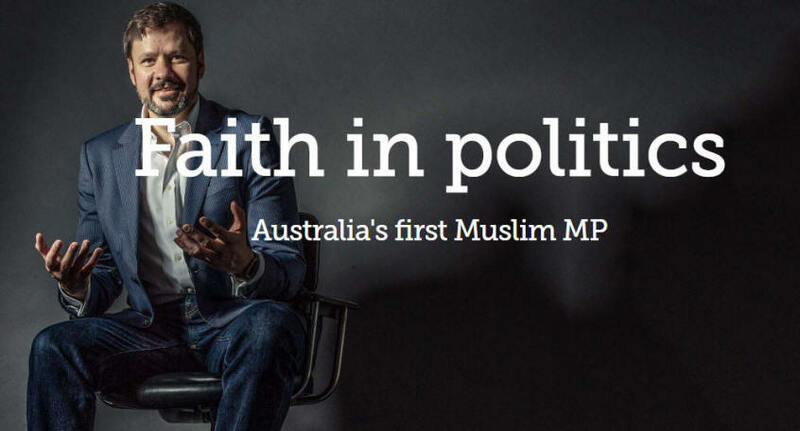 He became the first ever Muslim frontbencher under Kevin Rudd. What next for an outspoken Gen Xer with a friend on the wrong side of parliament? Upon returning to Australia, he began to realise that being the son of migrants meant he was �in a sort of half-way house�. �You really can�t go back to the place your parents come from, and people do notice the difference in the new home that your parents have made.� His Bosnian is still hybrid, and native-born Bosnians can pick it �straight away�. As for Islam, Husic confesses he has not always had an easy connection to his faith. He absorbed certain Muslim practices as a boy, when his devout grandmother visited from Bosnia, ultimately accepting why nana washed her hands a lot, and disappeared into a darkened room to pray on a carpet. Eventually, despite the family accommodating local Christian practice with Easter costumes and Christmas presents for the three children, the Muslim side of their upbringing became second nature. In his teenage years, however, Husic and his brother mounted a campaign of resistance against their parents� determination that the boys attend a mosque to study with the local hod�a, or Muslim teacher. When I ask why he is often referred to as �non-practising�, Husic answers: �That was the dumbest thing I�ve said in public life�. The prospect filled his mother, in particular, with horror. As the MP tells it, it was not until he was required to do a school project about the differences between Christianity, Islam and Judaism that he began to take a deeper interest in his own faith. 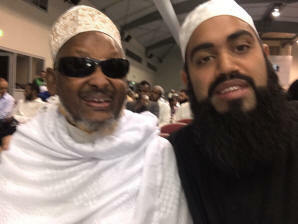 Today he says Islam �has helped me in my own way�. �I know that I could do, and I should probably do more. But [Islam] certainly does help and give perspective as well,� Husic says. The National Census reported that 1,140 Aboriginal and Torres Strait Islander Australians identify as Muslim. This figure has grown significantly in the last 15 years, almost doubling that of what was recorded in 2001. While Muslim conversion and identification is growing in Indigenous communities, there is already a long standing history with Islam. Dating as far back as the early 1700s, influences came from Asian neighbours who worked, traded and socialised with First Nations� people; Afghan and Indian cameleers in Central Australia, Malay pearl divers in the Torres Strait and Cape York Peninsula, and Indonesian fisherman in the Top End. 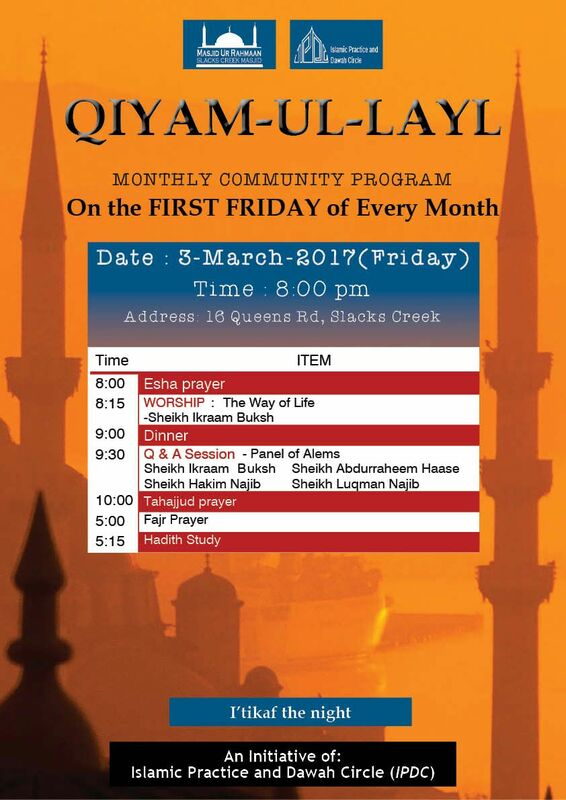 More recently, Indigenous people have become drawn to Islam independently, interested in its guiding principles, spiritual beliefs and the cultural parallels between the faith and traditional Aboriginal culture. However, each journey is as diverse as the people themselves. Reflecting on Mundine�s powerful words and the preconceptions of minority groups, we consider national identity. NITV would like to thank the participants, those who are who are dedicated to their faith and simultaneously committed to keeping culture strong, for inviting us into their homes and sharing their stories with us. 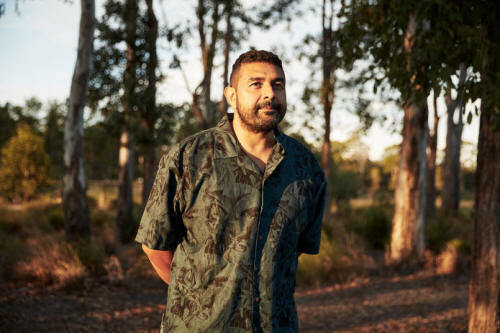 Mohammed, a Torres Strait Islander man, was born and raised Muslim. 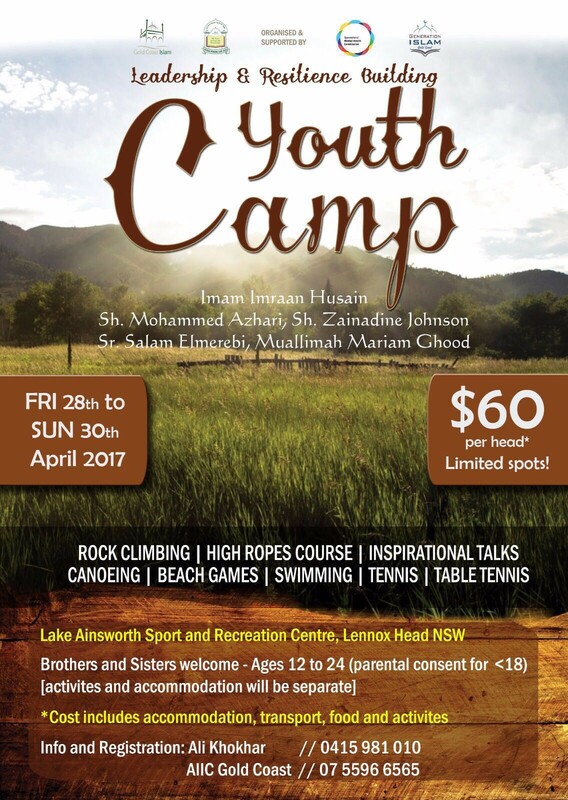 His father is a Lebanese-Muslim and his mother is a Muslim-Aboriginal/Torres Strait Islander woman who was also born into the faith. Dr Turkmani is a Syrian born astrophysicist. She gained her BSc in Electrical Engineering from the University of Damascus before moving to Sweden to study her Masters and then her PhD in Astrophysics. Dr Turkmani works on the physics of the solar corona � the halo around the sun � and through the use of computer simulation, observations and theoretical modelling, she tries to understand the dynamics of energy release in solar surface explosions, known as solar flares. 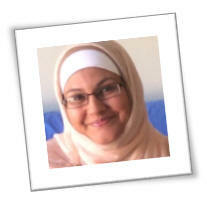 Farah - not her real name - met her husband after being introduced to him by a family friend when she was in her 20s. They had children together soon afterwards but then, Farah says, the abuse began. "The first time he was abusive was over money," she tells the BBC's Asian Network and Victoria Derbyshire programme. "He dragged me by my hair through two rooms and tried to throw me out of the house. There would be times where he would just go crazy." Despite the abuse, Farah hoped things would change. Her husband's behaviour though became increasingly erratic - leading to him "divorcing" her via text message. "I was at home with the children and he was at work. During a heated discussion he sent me a text saying, 'talaq, talaq, talaq'." "Triple talaq" - where a man says "talaq", or divorce, to his wife three times in a row - is a practice which some Muslims believe ends an Islamic marriage instantly. It is banned in most Muslim countries but still happens, though it is impossible to know exactly how many women are "divorced" like this in the UK. "I had my phone on me," Farah explains, "and I just passed it over to my dad. He was like, 'Your marriage is over, you can't go back to him.'" Farah says she was "absolutely distraught", but willing to return to her ex-husband because he was "the love of my life". She says her ex-husband also regretted divorcing her. This led Farah to seek the controversial practice known as halala, which is accepted by a small minority of Muslims who subscribe to the concept of a triple talaq. They believe halala is the only way a couple who have been divorced, and wish to reconcile, can remarry. Halala involves the woman marrying someone else, consummating the marriage and then getting a divorce - after which she is able to remarry her first husband. But in some cases, women who seek halala services are at risk of being financially exploited, blackmailed and even sexually abused. It's a practice the vast majority of Muslims are strongly against and is attributed to individuals misunderstanding the Islamic laws around divorce. But an investigation by the BBC has found a number of online accounts offering halala services, several of which are charging women thousands of pounds to take part in temporary marriages. 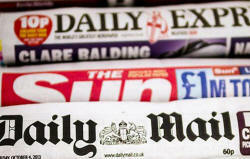 People who read the news are more likely to feel angry towards Muslims, a new study has found. Whether liberal or conservative, researchers found more avid news consumers showed both increased anger and reduced warmth towards members of the Islamic faith. The findings, based on responses from 16,584 New Zealanders from the New Zealand Attitudes and Values Study (NZAVS), were published in leading international science journal PLOS ONE. The authors said it showed widespread representations of Muslims in the news were contributing to lower acceptance. The fact that the study was was based on New Zealanders, who are generally �highly tolerant�, made it particularly poignant, the authors said. �People tend to interpret the news in ways that fit with their pre-existing biases, seeking affirmation of their beliefs while discounting conflicting information," said lead author Dr John Shaver, a lecturer at the University of Otago. 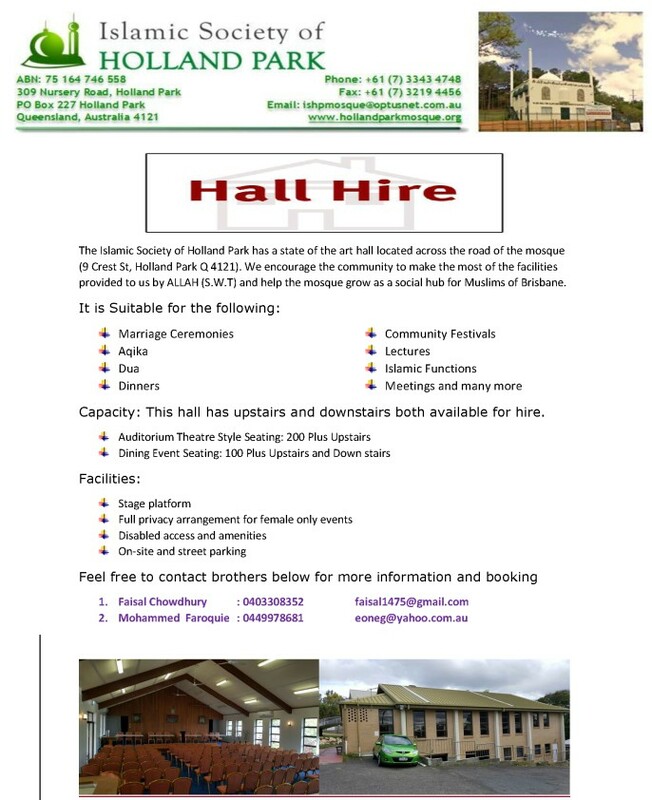 �New Zealand is a good test for speculation about media-induced Muslim prejudice because of its overall highly tolerant people. If anything, tolerant Kiwis might tend to reject intolerant stereotypes, reducing the effect of the media. "However we find that the association of prejudice towards Muslims with more media exposure holds across the political spectrum, and is specific to Muslims. The reports co-author, Professor Joseph Bulbulia of Victoria University of Wellington, added: �Sadly, there may be real-world consequences for Muslims in this country, people who encounter prejudice across their daily routines, at the workplace, and in their children's schools. "Though un-making prejudice is difficult, we hope these results challenge the media to present fairer representations of Muslims." Supermodel Bella Hadid has opened up about her father�s experience as a refugee and her Islamic faith in a candid interview. And, while she might be one of the biggest fashion stars in the world it seems there�s still much for us to understand about the 20-year-old model, who has never publicly confirmed her religion until now. The model, her older sister Gigi and brother Anwar are half Dutch, half Palestinian born to Yolanda � a reality TV star - and Mohamed Hadid � a real estate mogul estimated to be worth $200m. Their father was born in Nazareth and lived in both Syria and Lebanon before immigrating to the U.S. at just 14-years-old. A subject close to Bella�s heart, she openly discusses her father�s heritage and how this factored into her upbringing in the summer issue of the magazine. �He was always religious, and he always prayed with us. I am proud to be a Muslim,� Bella told Porter magazine. When President Trump first announced his immigration ban in January, Bella and sister Gigi were among those to join the No Ban No Wall march in downtown New York, along with their mother and friends, toting signs that read, �We are all humans,� for Bella, this was personal. �My dad was a refugee when he first came to America, so it�s actually very close to home for my sister and brother and me,� she added. In the absence of a holistic Islamic framework, maintaining our identity in secular societies will always be a challenge. We must recognise our belief system for the way of life it truly is, not aspects merely to be implemented at our own discretion. Do we need to rap our hijabs? Controversy erupted again this week following the release of rap video �Wrap my Hijab� by sister Mona Haydar. A tribute to Muslim women who wear the headscarf, the video exclusively featured Muslim women singing lyrics such as: �You poppin off at the lip, And run ya mouth like a treadmill, Not your exotic vacation, I�m bored with your fascination� and featured a hijabi equivalent of the recent Beyonce pregnancy photoshoot. Reactions on social media ranged from proud supporters, to those who felt that such behaviour was not befitting for a Muslim, male or female. 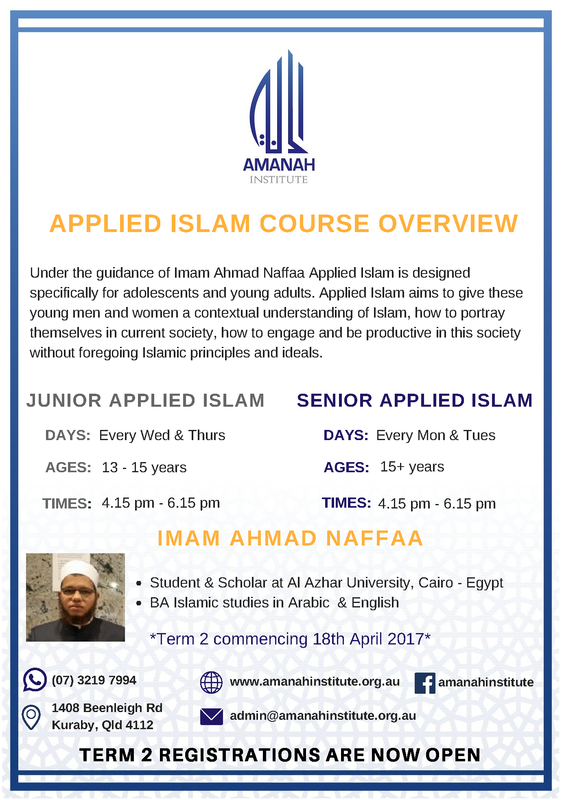 For those keeping tabs, this has been the latest in an emerging subculture catering to Generation �M� � a new demographic of young Muslims. 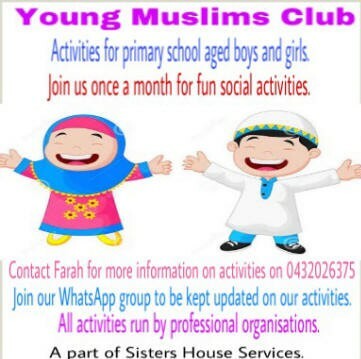 As demonstrated by the original Mipsterz video of 2014, or the more recent music tracks released by Deen Squad; the young Muslim is identified as having a mixed cultural experience, being proud of their faith, enthusiastic consumers, dynamic, engaged and demanding. Breaking into the media, entertainment and fashion industries, they are arguably attempting to forge an identity during a particularly trying time, influenced by the global geopolitical situation and racial tensions. One of the key motivations expressed by the creators of such materials is to show a more representative image of Muslims in the West, and in effect, to actualise a new Muslim subculture. 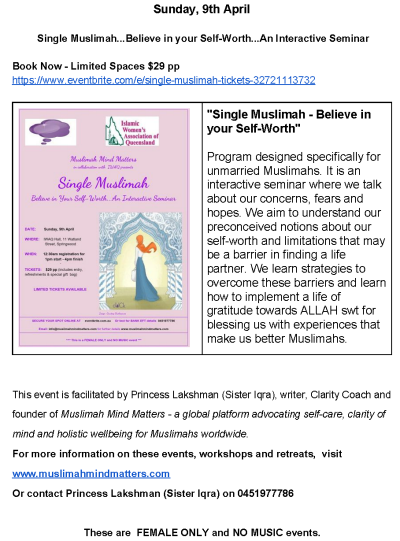 In this way, the redefining of Islamic norms around a new generation and a new society, is presented as part of the religion�s beautiful way of applying to every time and place. But we need to ask ourselves some questions about this reasoning? Celebrating diversity is not quite enough. 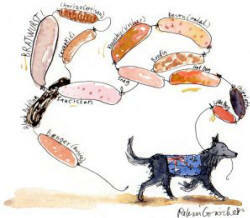 A friend recently told me about a sausage sizzle held at her own children's inner-city school. 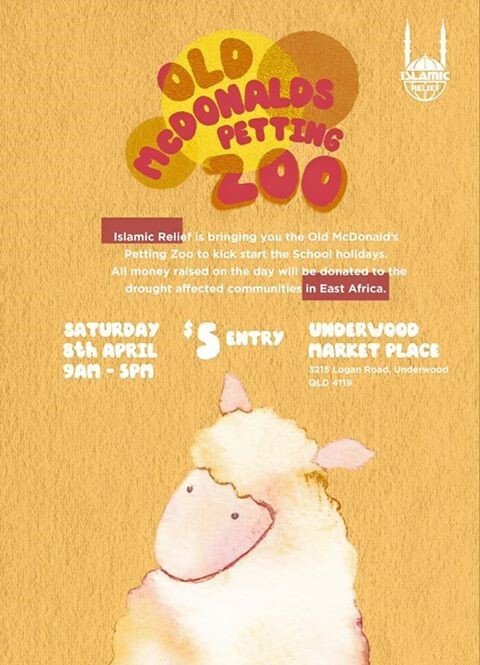 Last year, the BBQ stall was decorated with a sign indicating that the sausages were halal, which was entirely appropriate, given the burgeoning Muslim population in her area. But then a local bigot hassled the sausage sellers, who were shaken by his vitriol. This year, the sausages were still halal, but the sign had disappeared. The white Australian organisers preferred to avoid another fuss. They could still feel virtuous selling the sausages, without putting themselves in the kind of uncomfortable situation that many in the non-white community face every day. And that's why real diversity requires more than just "celebration". It demands effort. It means that sometimes we in the dominant group need to move out of our comfort zone. It means questioning our own assumptions and prejudices, and working actively to include members of the wider community in the leadership positions and decision-making roles that we still dominate. It means doing all this in a way that suits them, not just us. Spelling and pronouncing non-Anglo names correctly is a good place to start. After all, if we can't even make that small effort, what chance do we have of achieving anything more significant? Celebrate Harmony Week 2017, with Food, Faith and Love in WA�a series of personal narratives from across WA�s culturally and linguistically diverse communities. Telling women they can�t wear the headscarf at work is "just discrimination in disguise" - argues academic and journalist Myriam Francois-Cerrah. "We don't need saving. We don't need saviours." Including such messages/links or providing the details of such events does not necessarily imply endorsement or agreement by CCN of the contents therein. Islam is not an imported, foreign religion brought to America by immigrants from Arab countries and from the Indo-Pak communities in the past couple of decades. Islam is part of the fabric of American history. The Southern regions of America were actually built on the backs, sweat, blood, and toil of the African slaves brought to this country at its very founding, and many of them were Muslim. Slavery in America began when the first African slaves were brought to the North American colony of Jamestown, Virginia, in 1619, to work on lucrative field crops, such as tobacco. The cruel practice of slavery spread throughout the American colonies in the 17th and 18th centuries, and African-American slaves helped build the economic foundations of the new nation. The production of cotton solidified the importance of slavery to the South�s economy. Men, women, and children were captured mainly from West Africa. They were sold to slave traders, forced on to ships, and kept in appalling conditions for the long journey across the Atlantic Ocean to the Americas. Historians estimate that at the height of the slave trade in the 18th century, up to 7 million Africans had undertaken this voyage. It is estimated that up to 30% of the enslaved in North America were Muslim. Maintaining their religion was difficult and many were forcibly converted to Christianity. Any effort to practice Islam, and keep the traditional clothing and names alive had to be done in secret. The slaves were treated as subhuman and their owners tried to erase everything about their past, their history, beliefs and religion, their right to freedom, and their family ties. Nonetheless, evidence of Muslim origins has been found in documented Arabic texts written by the slaves in captivity. Most of these texts turned out to be memorized verses of the Qur�an, handwritten by the slaves. These texts reveal the slaves� struggle to maintain their religious beliefs. It shows their high level of education attained in Africa prior to enslavement and forced emigration. 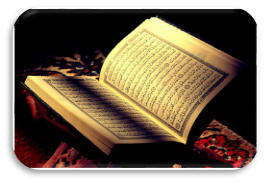 Many of them were learned in the Qur�an and Islamic sciences and they could read and write Arabic. Unfortunately, slavery has systematically silenced them, so our present knowledge of these educated people is lacking. In addition to this, Muslim names can be found in reports of runaway slaves and among the rosters of soldiers in the American war for independence. Many slaves were forced to accept Christian names; however, some kept their Muslim names. 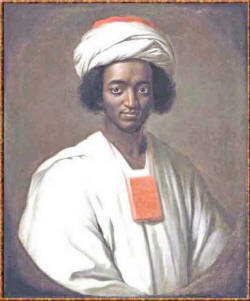 Historians discovered men living in the American South named Abd ar-Rahman, Bilali Mohammed, Salih Bilali, Omar ibn Said, and Yarrow Mamout, who maintained Islamic names. TOPIC: "The Concept & Reasons of being Safe and Secured in Hereafter"
TOPIC: "Did the Sahaaba ask, is this Hadith sahih?" 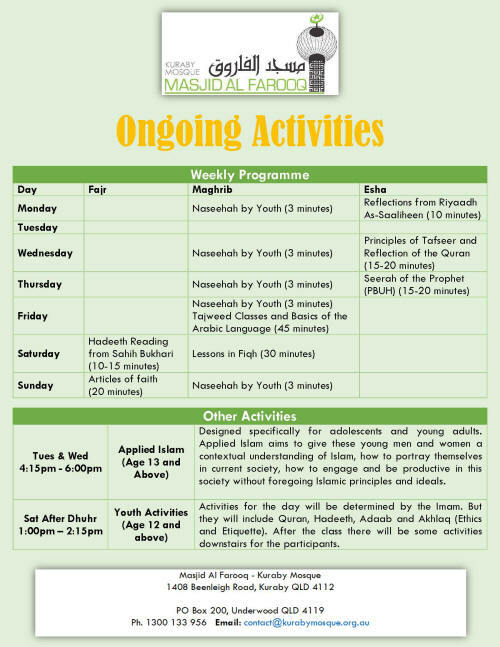 TOPIC: "Haste towards forgiveness and paradise"
To commence in Term 2. US: Inspired by the #FergusonSyllabus, the #StandingRockSyllabus, the #BlackIslamSyllabus and others, this reading list provides resources for teaching and learning about anti-Muslim racism in the United States. 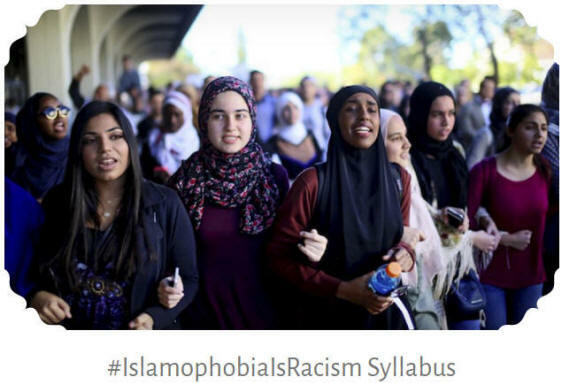 This syllabus reframes �Islamophobia� as �anti-Muslim racism� to more accurately reflect the intersection of race and religion as a reality of structural inequality and violence rooted in the longer history of US (and European) empire building. Conceptually, a focus on anti-Muslim racism is connected to an analysis of history and forms of dominance � from white supremacy, slavery and settler colonialism, to multiculturalism and the security logics of war and imperialism � that produce various forms of racial exclusion as well as incorporation into racist structures. Our primary focus is on the manifestation and impact of anti-Muslim racism in the United States. 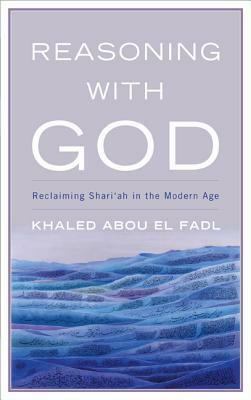 In Reasoning with God renowned Islamic scholar Khaled Abou El Fadl explores the role of Shari'ah in today's world, for both Muslims and non-Muslims. After a prologue that explains Shari'ah in depth, Abou El Fadl wrestles with the moral trajectory of contemporary Islam and highlights the way Shari'ah can revitalize and reengage Islam today. KB says: With the Easter Break and school holidays coming up these cinnabons will be great for the family wanting to satisfy their sugar cravings. 1. Combine all the dry ingredients. 2. Gently rub the oil into the dry ingredients. 3. Combine the water and milk and add to the mixture above to form a soft dough. 4. Cover the dough and leave to rise until double in size. 5. Then punch down the dough and make 5 balls. 6. Roll out each ball into a rectangle, brush with melted butter and sprinkle brown sugar and cinnamon powder and fold into a Swiss roll. 7. Slice and place on a baking tray lined with baking paper and leave to rise for 15 mins. 8. Bake in a pre-heated oven at 180deg for approx 20 mins. 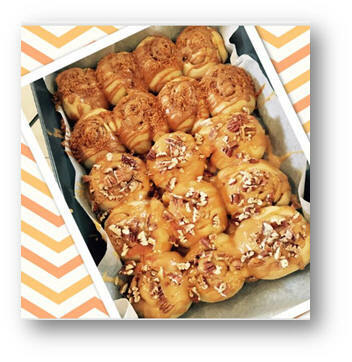 Mix in 1 tin nestle cream and 1 tin caramel treat and drizzle over cinnabons and sprinkle with roasted pecans. Today, In Shaa ALLAH, we will explore the signs and symptoms of Depression and how to overcome it using your Mind Power. Is feeling sad the same as being depressed? Feeling sad, empty, worthless, teary and having recurring thoughts of self-harm all the time, every time and not knowing exactly why you feel these emotions are significant signs of Depression. Depression is now categorised as a disease and can exist by itself in different combinations such as Post Natal Depression (affecting brand new mothers), Bipolar Disorder (periods of major happiness and major sadness), Dysthymia (mild, chronic sadness existing for at least two years) and Seasonal Affective Disorder or SAD (affects people during shorter, darker months in Autumn and Winter). Anyone suffering from Depression can be cured. The first step is to identify and acknowledge the signs and symptoms of Depression and seek appropriate help to overcome it. In 2009, after my brain tumour was diagnosed, I began questioning my life�s choices and began experiencing feelings of deep sadness, guilt, emptiness, a strange void, rapid weight gain due to emotional eating and thoughts of self-harm. My GP was able to diagnose these symptoms and recommend that I seek counselling and psychological help. My daughter, who was six years old at the time, was suffering indirectly as a result of my condition. 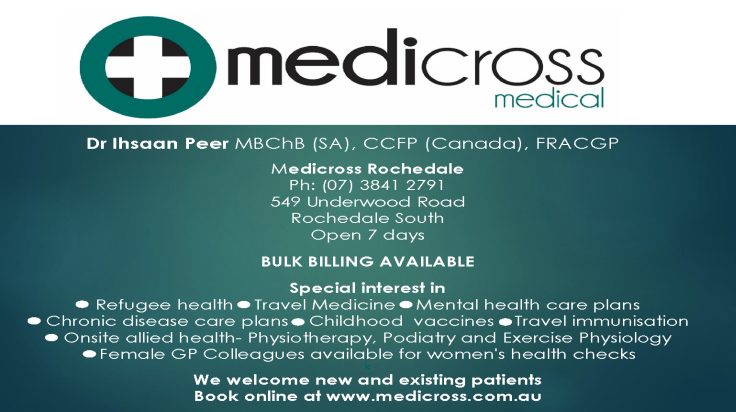 I made a conscious decision to follow my GP�s advice. I lived. Alhamdulillah, because that renewed life led me to Islam in 2011. Every brain has a mind of its own. No matter what our experiences, we do not have to identify ourselves by our experiences. ALLAH has blessed us with a mind that has enough power for us to change our thinking and begin to manifest good and joyful outcomes. The following activities are absolutely necessary if you want to overcome Depression. � Challenge the WHY in your life - take a pen and paper and write WHY as the topic. Underline it. 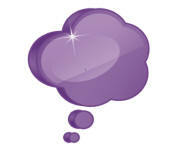 � Now, write down all the feelings you are experiencing today and try to explain why. � Keep challenging the why until you start seeing some clarity happening. For example, �I feel tearful today because I feel empty inside. I feel empty inside today because I am not working and I really wish I had a good job and my own financial independence. I am not working because I lost my job. I lost my job because I was not meeting my targets�� (and these �WHY challenges� continue until you find clarity). 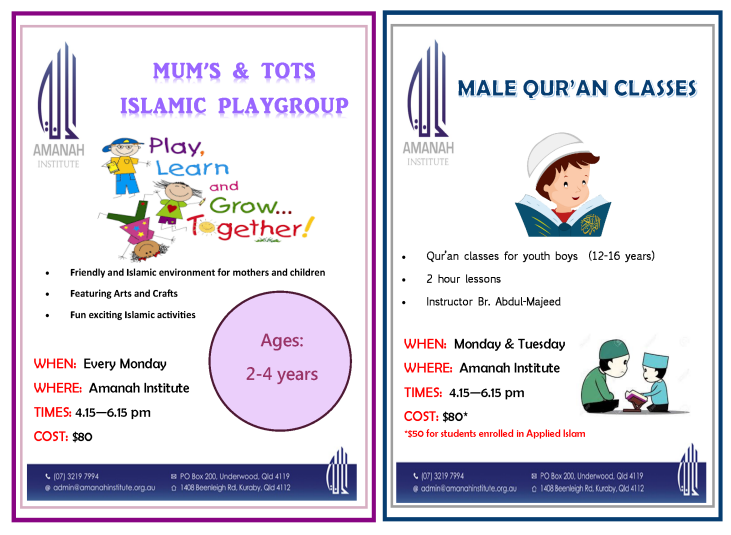 In Shaa ALLAH, next week we will explore the topic of �Respect and Understand your Children�. Children often do as we do, not as we say. It is vital that we respect and understand them first before we expect them to respect and understand us. A: Examine your diet � Make �good-for-you� choices when it comes to preparing / choosing meals. Think lean protein & veggies instead of fried, fatty foods. Set realistic goals that are focused on YOUR body and you�ll feel fitter and firmer sooner. Don�t rush your body to see change � take it slow & enjoy the journey. Improve your posture � stand up tall and you�ll look trimmer without breaking a sweat. Jallaludin went to the US embassy for a visa for a visit to his friends there. When asked where he was going, Jallaludin replied,"San Jose". "So how long is your stay in San Jose?" Jallaludin: "Six months; from Hanuary to Hune." Keep up the prayer and pay the prescribed alms. Whatever good you store up for yourselves, you will find it with God: He sees everything you do. 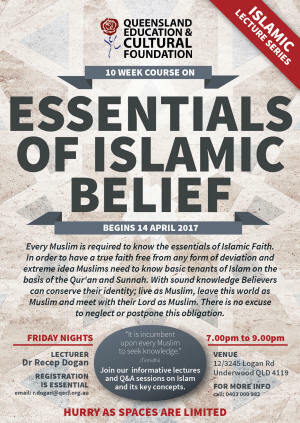 Queensland Education & Cultural Foundation has organised free Islamic lecture series to inform society with regards to Islam and its basic concepts. The first lecture series is related to Essentials of Islamic Faith; it is ten weeks course and at the end, there will be an exam to measure the knowledge and to determine who is entitled to achieve a certificate. 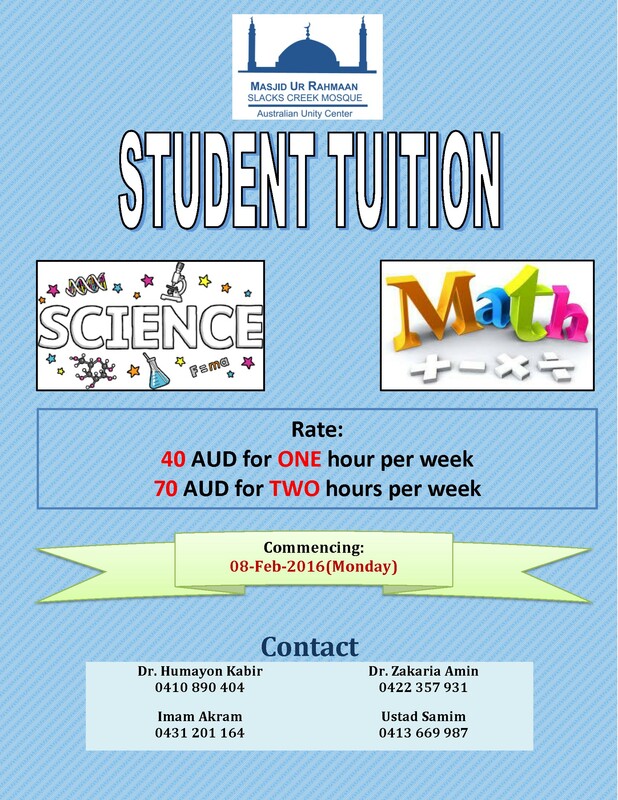 Lectures will be in two sessions; informative (1 hour) and Q&A (30 minutes tutorials). There will be a break between them for coffee/tea/refreshments. 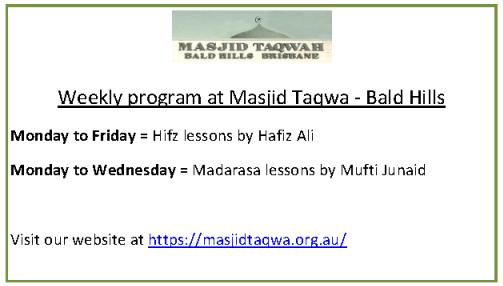 To register: send an email to rdogan@qecf.org.au to book a place. 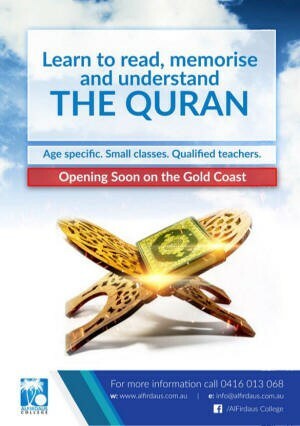 Gold Coast Islam, AIIC, etc. 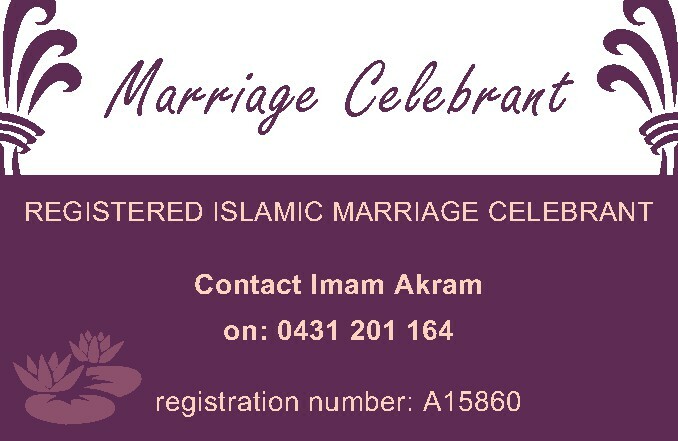 VENUE: Islamic College of Brisbane [ICB]. Community Contact Command, who are situated in Police Headquarters, will be taking over the secretariat role of the QPS/Muslim Reference Group meeting.